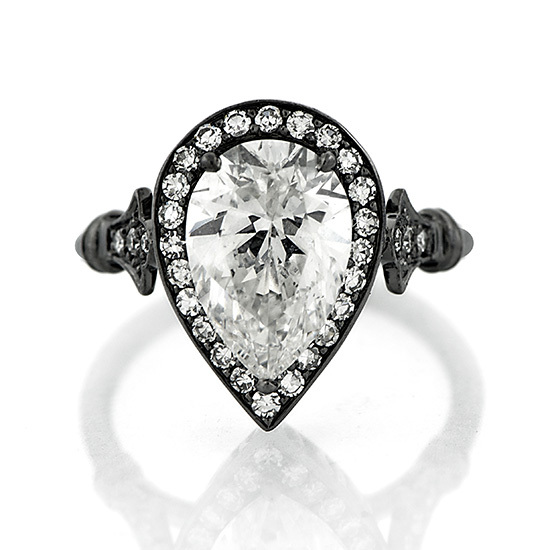 The Pear Shaped Vintage Reprise has a 2.02 KVS1 pear shaped diamond. The setting is 14k white gold with a black rhodium overlay. Please contact us for other shapes and carat weights.